Are you looking for a fun croc toy for your little boy? I just came across some very cool crocodile toys for children! I had no clue there were so many options out there and when I saw these, I decided to create this page just for them! 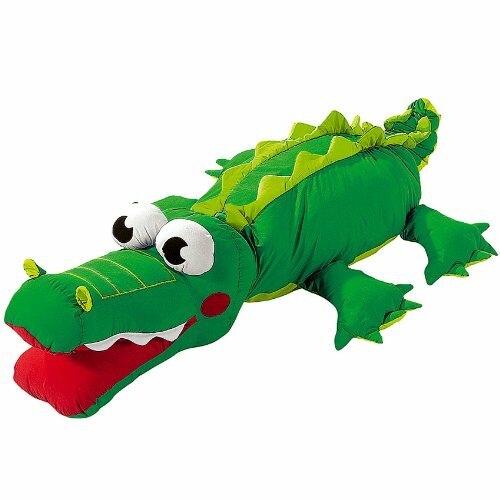 From amazing and very realistic stuffed crocodiles and alligators, to fun crocodile ride-on, rockers and even musical toys! My favorite crocodile themed toy is this awesome giant crocodile cushion for babies! The ‘not so scary’ crocodile pillow! As you can see he is very friendly and very, very soft! Kids love to drag him around the house! He is perfect for watching TV or taking a nap too! *Of course you should always teach your kids that real crocodiles and alligators are extremely dangerous! How cool (literally!) is this huge and very green inflatable croc water park for kids? Parents say it’s a blast! Perfect summer toy for kids! Perfect for a summer birthday party too! 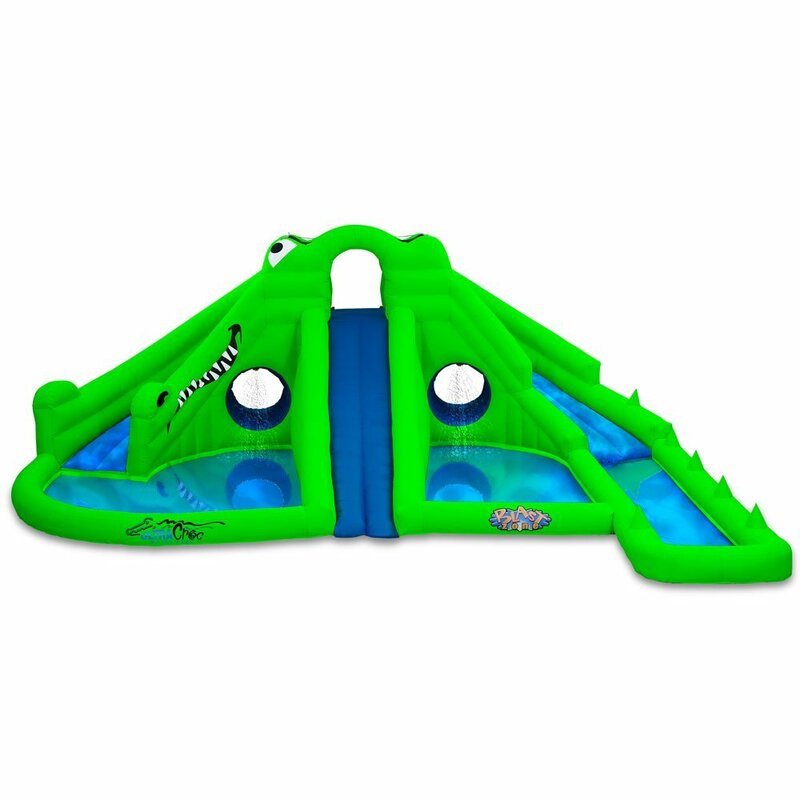 Kids can splash, slide, crawl and climb on this gigantic croc inflatable water park! It takes less than 10 minutes to set it up and around 30 minutes to put it away. You will need to have a reasonable big backyard though to fit this during summer. It fits around 6 kids playing at the same time. Realistic Crocodile Stuffed Animal – Over 8 Feet Long! 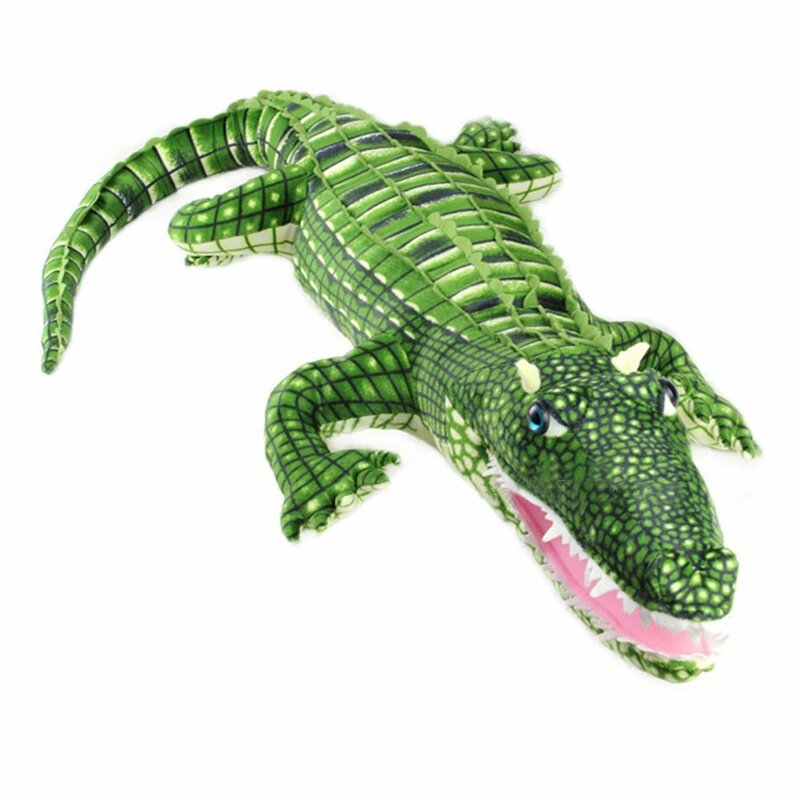 Hansa Salt Water Crocodile Stuffed Animal – Over 8 Feet Long! If you are looking for a very real looking plush crocodile, this is as real as it gets! It’s a gigantic stuffed crocodile! Where are you going to put him? Cute and Colorful Crocodile Learning Toy! Fun Crocodile Toy for Toddlers! These cute and fun crocodile blocks are great to teach toddlers numbers! They will have to learn how to place the colorful number blocks in the right order while having fun with the croc! He is carrying a cute flower on his croc tail! They love to play with the croc’s open mouth! Another favorite of mine is this fun and very colorful crocodile rocker for toddlers! He has a strong wood rocker base and his body is made from very soft plush materials! 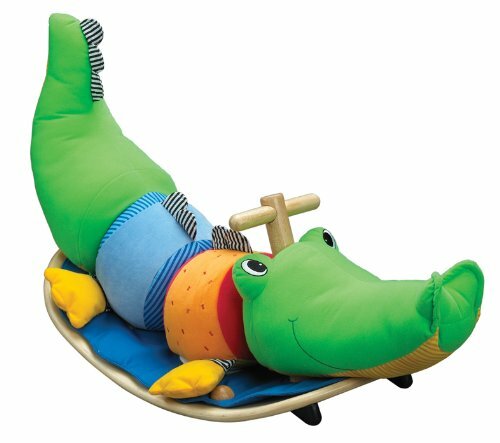 Parents said their 1 year old children LOVE their cute crocodile rocker and they have a blast crawling on him! It also looks great in a child’s bedroom! 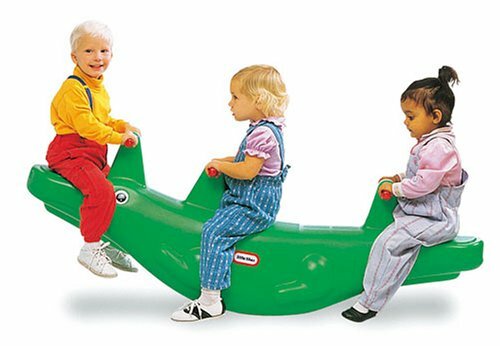 It’s a five foot alligator teeter totter for kids! Three kids can rock back and forth on him! Is this alligator toy perfect for triplets or what? Parents love the fact that they can have him indoors or outdoors and kids also love playing on him at different locations! They also have a blast switching positions! Another huge plush alligator for sale! Also great to complement a wild animals themed bedroom decor! I really like his strong colors! The Most Popular Toy Crocodile for Kids! 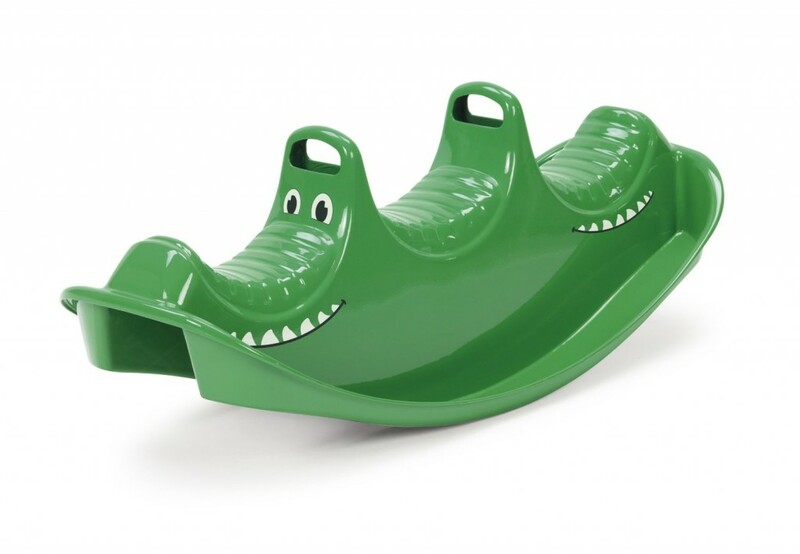 This awesome crocodile rocker for kids is the most bought crocodile toy by parents! It fits three kids ages 1 through 4 years old on him and it’s also perfect for placing anywhere, indoors or outdoors! Parents and grandparents describe him as ‘rocking fun’! 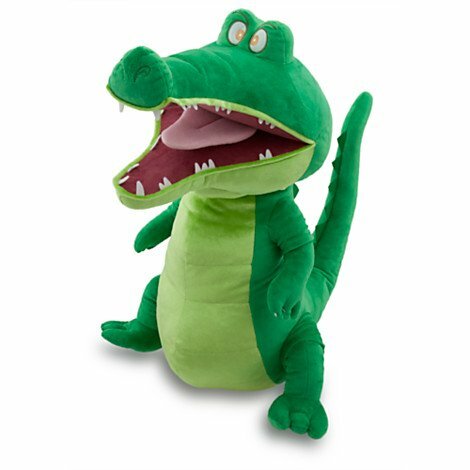 This is a fun and extremely soft and shiny plush crocodile from the Disney movie Peter Pan! Kids love hugging him and taking him everywhere with them! He’s not going to eat you! He has just been fed! This alligator just had baby alligators and she is taking them for a ride on her back! They look very realistic and kids love them! How cool is this plush crocodile from the Peter Pan movie? He is cute, soft and huggable! He can’t wait to live in your kid’s bedroom! I also love this fun alligator pull-along toy for toddlers! He has fun and bright colors and he moves his head and his tail up and down when kids pull him! I think every toddler should have a pull-along toy! It’s great for their development! Fun Crocodile Pull Along Xylophone! 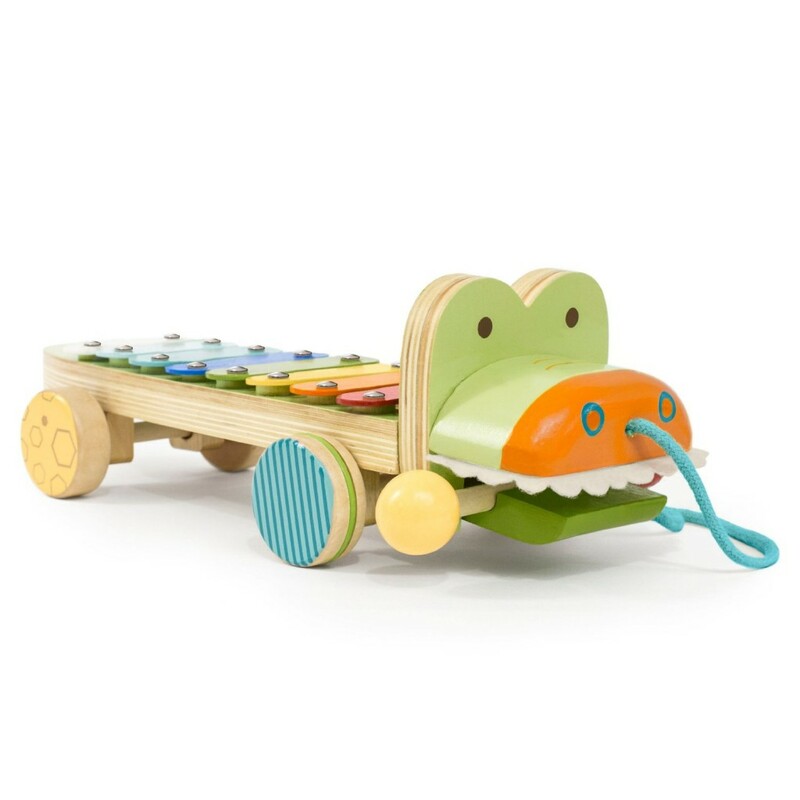 How cute and unique is this fun, colorful and very musical crocodile pull-along xylophone? Kids can make music and pull him along too! What a fun crocodile musical gift idea! Now who wants to see REAL baby alligators being born in Nature?